Jeremih’s Late Nights standout gets the remix it deserves. 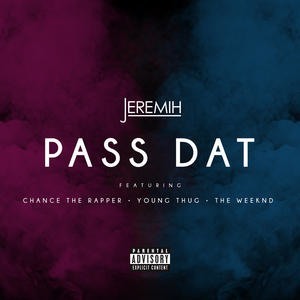 Jeremih's "Pass Dat" was a clear standout track from his 2015 Late Nights album. Young Thug shared an Instagram video of himself singing along to the song shortly after its release, and The Weeknd shared his own remix in December. Jeremih has recruited Young Thug, The Weeknd, and Chance the Rapper, who was originally supposed to be on "Planes," for the song's official remix. Listen their new version of "Pass Dat" below.